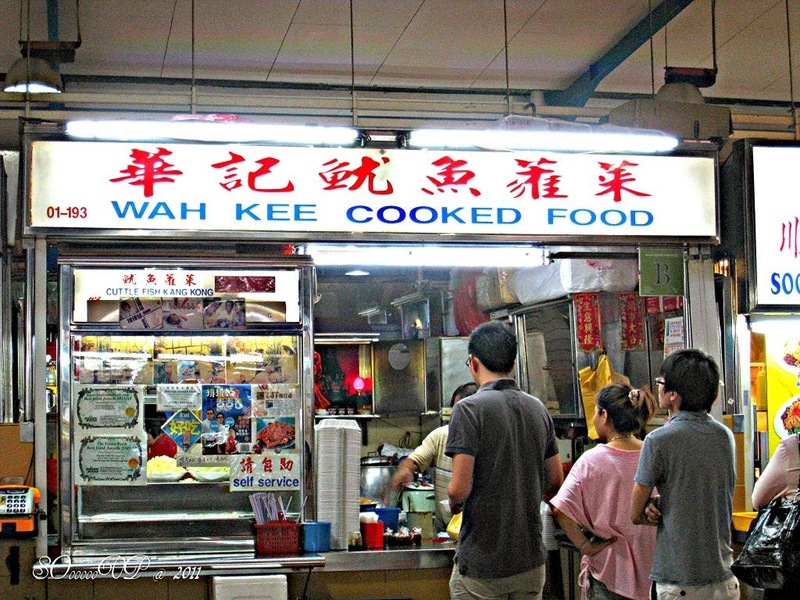 Bedok South food centre is one of our dinning options. 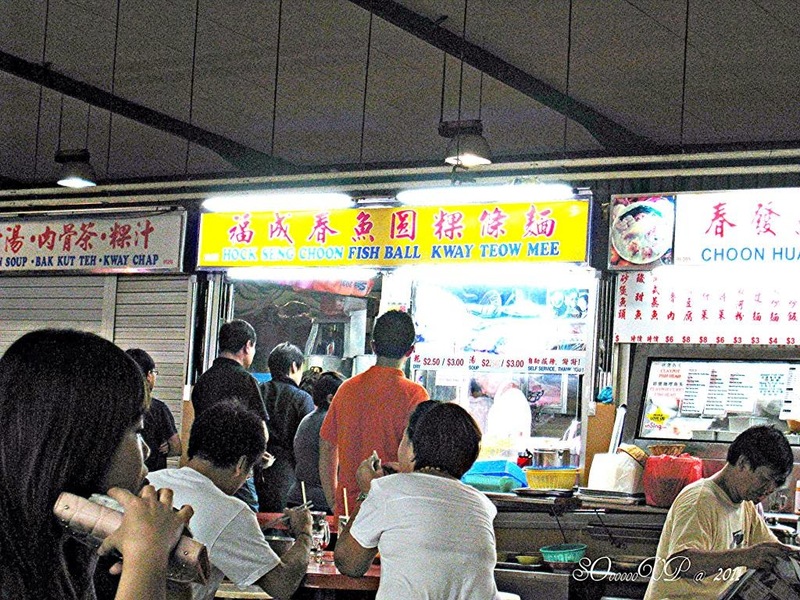 The stalls that we normally patronize are the Hill Street char kuay teow, which usually closed early, leaving the Wah Kee cuttlefish and Hock Seng Choon noodles stalls. There are usually long queues for these stalls which is a testimonial for good food. It usually takes about 20 minutes to queue. The stall closed on Mondays and the operation hours are from 1800 hour to 2030 hour. 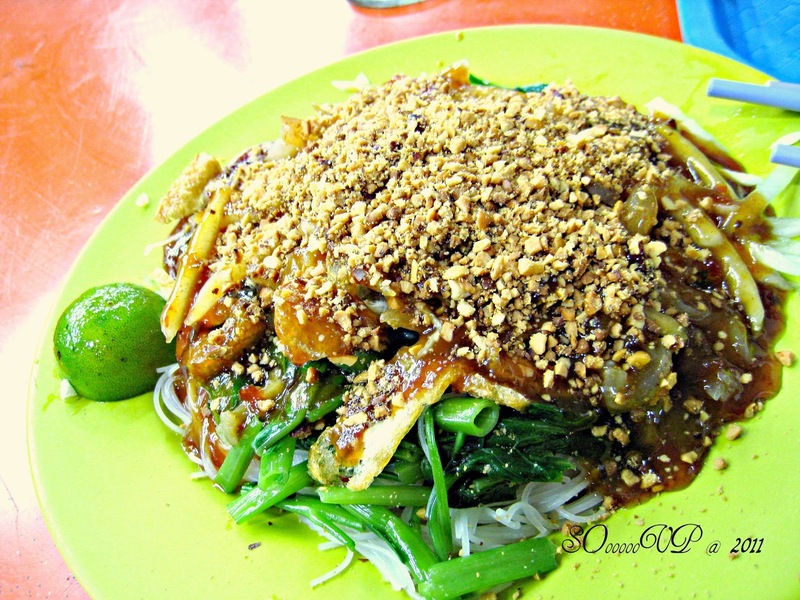 Cheap and best cuttlefish kangkong in town, costs you $2.00 per serving formally but has now increase price to $3.00 per serving which still worth the value. 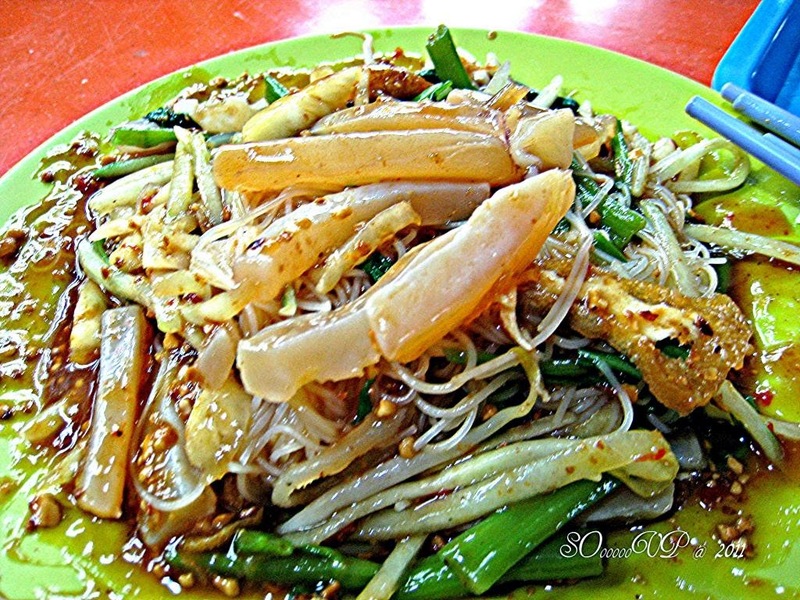 Generous sprinkle of fragrant peanuts with lots of cuttlefish, cucumbers and pineapples with a choice of mee hoon, or without. No other places serve you such an amount of chewy perfect tender cuttlefish. The tantalizing sweet & sour sauce is more than enough to blend every piece of ingredients and allured one to lick up to the very last drops. This stall has quite a lot of patrons, with a long queue whenever we are there. 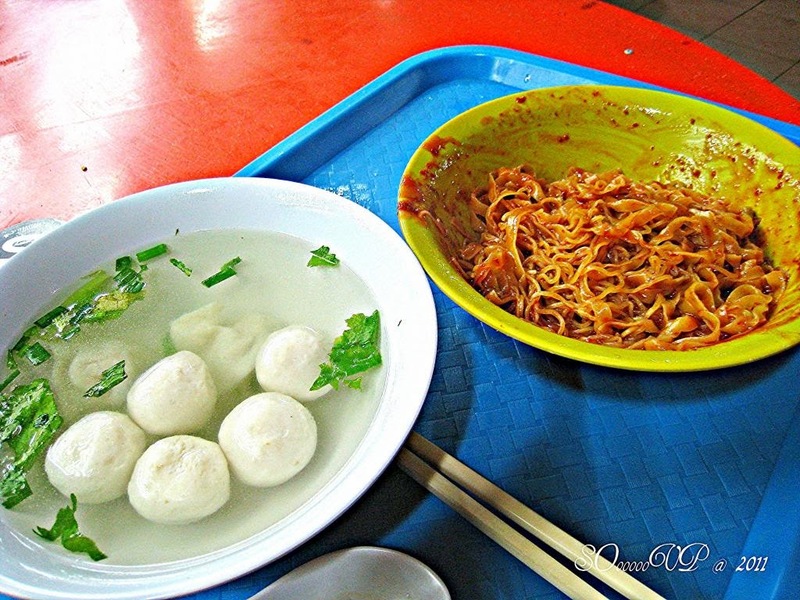 They serve excellent fish balls which are big and bouncy, without any floury taste. 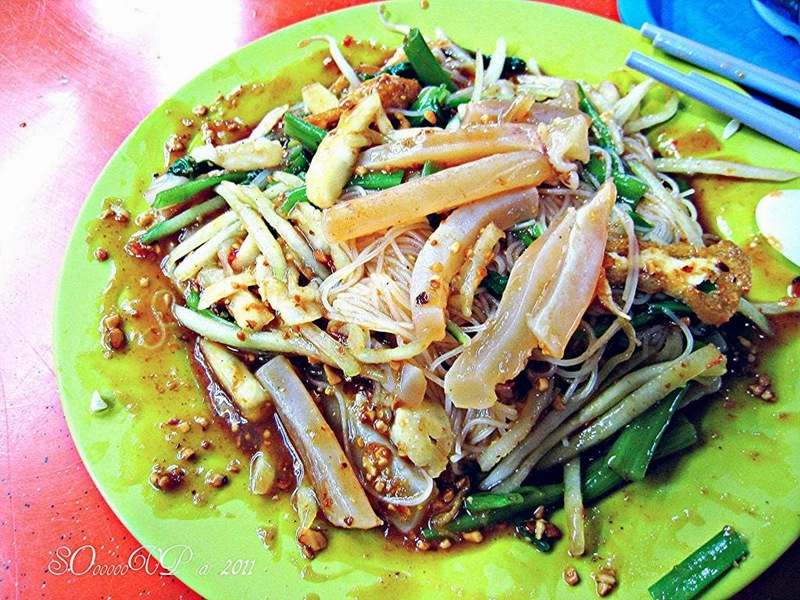 We usually ordered the dry springy mee-bok version with very spicy chilli and sweet tomato sauce.